Kim and I were reading in Mark 8 this morning. Recently we’ve simply been reading and perhaps re-reading a brief passage and sharing our thoughts. 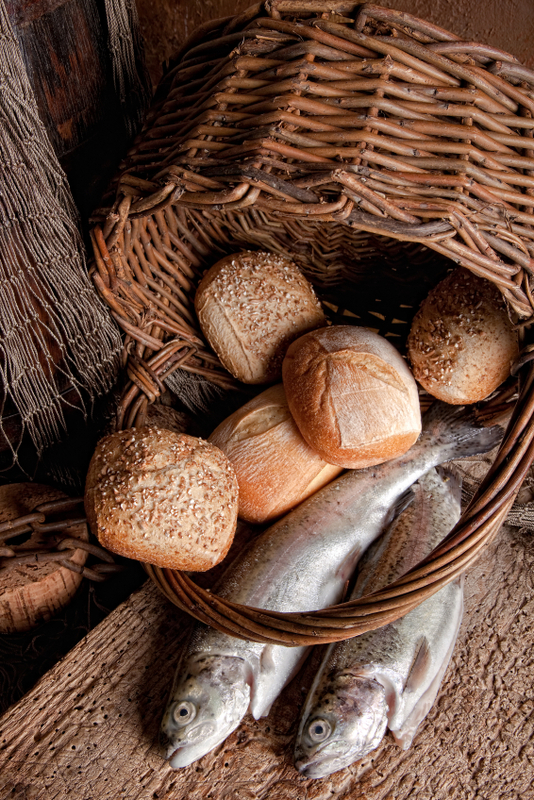 Today’s passage (Mark 8.1-21) was about the feeding of the four thousand and the disciples’ response to Jesus after they’ve left that place in a boat and Jesus says to them, “Be careful, watch out for the yeast of the Pharisees and that of Herod.” He said this because the Pharisees had just asked him for “a sign from heaven.” And Jesus had just fed the multitude. Okay, they came on the scene a bit after the fact, but there’s no way they didn’t know what had just happened. Really? Admittedly, at first, I still didn’t understand. Why was he getting on their case? But then, as Kim and I processed the events we realized that this was a conversation about faith, or the lack of it. At issue was the lack of faith of the Pharisees, but the disciples focused on the one lousy loaf of bread they remembered to bring along. They’ve just seen Jesus do so much with so little and yet they still have only one loaf’s worth of faith? And I realized how often, every day, in fact, I have only one loaf’s worth of faith – even after witnessing how much God has done in my life, in the life of my family and my congregation. As a friend and co-worker has reminded me before, here the disciples are operating out of a “lack” instead of out of the “abundance” of what Jesus has already done. I do the same. So often I am focused on the one loaf but I forget to look at the thousands Jesus has already fed with so little. As we wrapped up our time together, Kim and I prayed for more than one loaf’s worth of faith – for ourselves, our relationships, God’s work in our children and whatever challenges the day might hold. My prayer for today (and everyday forward, I hope) is that God will increase my faith beyond the one loaf I have in my possession. How are you tempted not to understand the abundance Jesus has to offer, the much he can do with so little? Do you most often operate out of a sense of lack or abundance?